The New Name? It’s a Prayer! “Therefore, if any man be in Christ, he is a new creature: old things are passed away; behold, all things are become new” (2 Corinthians 5:17, KJV). In African Pentecostal circles, a lively and contentious debate about the meaning and ramifications of this passage persists. While there is general consensus on the spiritual renovation that a new member of the body of Christ is expected to undergo, understandings of and attitudes toward the ‘old’ traditions and ways of life vary. How should a ‘born-again’ dress, for instance? What kinds of places, or even food and drinks, must she avoid? What should be the attitude of the Christian towards non-Christians? Finally, how should a born-again Christian negotiate the ‘old’ cultural regimen to which Christianity is supposed to stand in normative opposition? In reality, the Nigerian Christian (and this is particularly true of the Yoruba Christian) is in continual negotiation with the two worlds, creatively balancing the desiderata of Christianity with the strictures of oro ile, or ‘traditional’ ritual. Professor Ebenezer Obadare’s article provides a welcome addition to social science discussions on materiality, mobility, and religiosity. These discussions come in many forms, move in different directions, and weave their way through many recent concerns and theoretical turns. His proposal—vehicular religiosities—promises much, and usefully highlights one arena of material-religiosity-on-the-move that has received surprisingly little attention in Africa. 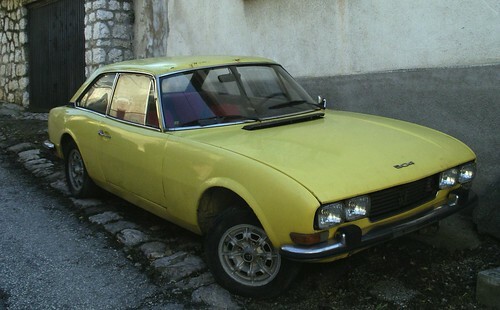 Surprisingly, I say, because “vehicular religiosities” are some of the most striking features of African urbanity today. Obadare is clearly onto something, and not just in West Africa. In Dar es Salaam, Tanzania, where I have worked for many years, one cannot but be struck—seduced, actually—by the constant swarm of brightly-painted, smoke-billowing, decibel-generating minibuses called daladala. These vehicles are often adorned with religious icons inside and out; bear banners like “In God we Trust”; and are heavily-loaded not just with passengers and goods, but also with manifold spiritual rules and prayers that (hopefully) keep them on the road and turning a tidy profit. All the more so for long-haul buses, which move people and their stuff at breathtaking speeds between Tanzania’s urban centres and far-flung villages across the nation. 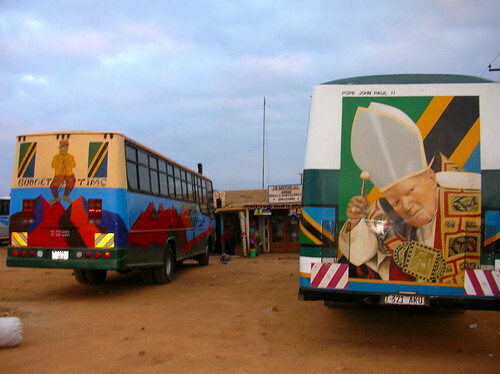 These buses are marvelous, baroque creations, vested with hyper-excesses of air horns and flashing lights, blaring music and shimmering logos—”God Bless Us,” “Over the Top,” “Praise the Lord,” “Voice of Allah”—all exquisitely-painted, top to bottom, with everything from ocean scenery to Tanzanian shillings to Jesus. The General Overseer of the Redeemed Christian Church of God (RCCG), Pastor Enoch Adejare Adeboye, once told his congregation about an extraordinary event that happened to him while on a road trip in Nigeria. He had left the city of Onitsha in the eastern Nigerian state of Anambra, and, as is frequently the case these days, the region and the rest of the country was in the grip of an acute petrol shortage. Because of this, he was unable to buy petrol for the car he was traveling in, as was his intention, in the adjoining city of Asaba, a short six miles away. By the time he arrived in Ore, about 134 miles from Asaba, his fuel indicator was firmly leaning toward “empty,” meaning that he had to get petrol for the car immediately. But then, something out of this world happened. According to Pastor Adeboye, it was at that juncture (junction?) that God, apparently seeing his dilemma, instructed him to proceed without looking at his fuel gauge. From that point onward, pastor Adeboye, so the account went, drove his car straight on to his residence in Surulere, Lagos (an additional 103 miles), without bothering to stop for—and apparently not needing—petrol. Some will argue, and correctly too, that this account strains credulity. But in the context of comparable testimonies of super-ordinary “divine interventions” (the gold standard here being the Sorcery-to-Salvation accounts of Emmanuel Eni and Kaniaki Mukendi respectively), the truth is that it is by no means unique. In the world of African Pentecostals in fact, there is actually a correlation between the spectacularity of the specific “tribulation” that a believer, often through prayer and fasting, purports to have “overcome,’ and his or her perceived spiritual bona fides. Pastor Adeboye’s testimony did his halo no harm at all. Yet, while a Waoh!-eliciting testimony certainly benefits the testimonier, it would seem to benefit their congregation or church even more. At the very least, it is a certificate of apostolic authenticity; proof that the congregation—if not the pastor who is in charge of it—is on good terms with God. In West Africa, certainly in Ghana and Nigeria, testimonies are thus powerful drivers of inter-congregational mobility. This project is a comparative ethnographic study of Roman Catholic prayer for exorcism, a form of ritual healing prayer performed by a priest and the aim of which is relief from affliction by evil spirits. Insofar as exorcism is an institutionally sanctioned form of prayer practiced in culturally diverse settings throughout the Catholic world, the project addresses the nature prayer in social and institutional contexts and comparative perspectives on prayer. Insofar as it is a form of prayer concerned with counteracting the debilitating force of evil understood as an obstacle to spiritual life, the project also addresses the contribution of prayer to virtue, human flourishing, moral development, and ethical formation. The study begins with the observation that exorcism is not only a form of religious practice but also a dynamic social phenomenon. My approach is defined by explicit attention to the intimately intertwined relation between the concrete experiences of social actors and the broader cultural processes and social forces in which they are embedded. Specifically, exorcism prayer can be understood both experientially in terms of the therapeutic process put into play by the practice of ritual healing as an attempt to promote flourishing, and institutionally in terms of the religio-political stance established in the face of global cultural processes in social context. This approach is the basis for two interrelated propositions: 1) Exorcism prayer articulates a conservative world view and a discourse of evil at large in contemporary society framed by processes of globalization including migration, mobility, missionization, and mediatization; 2) Exorcism prayer can be genuinely therapeutic if it fulfills all four criteria of a rhetorical model of therapeutic process in ritual healing including disposition, experience of the sacred, elaboration of alternatives, and actualization of change. The research centers on ethnographic comparison of exorcism prayer in the United States and Italy. Italy is the center of the Catholic world and the United States is the home of a globally influential Catholic community, with vivid social and cultural contrasts between them. My methods include ethnographic interviews and observations with exorcists, their clinical mental health consultants, and persons for whom they pray, as well as observations of training methods in exorcism prayer and examination of relevant published literature. The intellectual merit of the study lies in its contribution to the social science literature on two primary areas: 1) the nature of experience and trajectory of therapeutic process in healing prayer, and 2) the manner in which prayer articulates the relation of religion and globalization in contemporary society. The study’s broader impact will be 1) in providing an example of the intertwined relation between two levels of analysis, namely the concrete experience of social actors and the broader cultural processes and social forces in which they are embedded, and 2) in contributing to understanding the social implications and consequences of the discourse of evil in contemporary society. Do Different Understandings of the Mind Affect the Experience of Prayer? 1. How do congregants in three culturally disparate settings represent the aim and experience of these imaginal dialogues and other imagination-rich prayer practices? 2. What specific spiritual experiences (for example, the audible voice of God; tongues; out of body phenomena; etc) do congregants in these three culturally disparate settings recognize, elaborate and report? 3. Do congregants in India and Africa who report more prayer practice, more spiritual experience, or more vivid interactions with God also score more highly in ‘absorption,’ as American congregants do? 4. Do any differences reflect differences in local ‘theories’ of mind? Over the two year course of the project I intend to spend two months in each field setting. In each setting I plan to collect thirty interviews about prayer and spiritual experience from members of a denomination with which I have done extensive work in the United States and rich ethnographic material about the congregations. I expect that the pastors will be English speaking, that may congregants will speak English and that some services will be conducted in English, although not all. I also intend to conduct ethnographic interviews around the church and to hire a research assistant either from the church, or willing to spend time in the church, who will attend church services, keep me apprised of what is happening in the church and with people whom I interview. The field assistant may also conduct additional interviews in a language other than English. Finally, I intend to develop a model of the local theory of mind, drawing on published ethnography, conversations with colleagues, and specific probes among interview subjects and others. I anticipate doing twenty ‘theory of mind’ interviews among congregants and non-congregants to confirm the observations developed through reading the ethnography and discussing the material with colleagues. Much psychological work on prayer tends to presume that the effects of prayer are independent of social context. This project starts with prior work that demonstrates psychological consequences to prayer practice, but provides a means to explore and to theoretically conceptualize the ways that the spiritual consequences of similar prayer practices may differ across cultural boundaries. I have just published a book which demonstrates a capacity to speak to scholars and scientists, to Christians, and to the secular world. I am hopeful that I will be able to engage a similar range of audience with the material from this study, with publications both in scientific articles and in book form. Such a book will bring to public attention the importance of studying prayer as a complex phenomenon, one with cognitive consequences shaped both by the brain’s capacity and by culture’s invitation. This project explores the empirical and theoretical implications of the Pentecostal claim that prayer is the “weapon of our warfare.” Focusing on African Pentecostals who see themselves as a new global vanguard with a redemptive mission, I ask what it means to speak of prayer as a weapon, and what are the ethical, political, and theological implications of Pentecostal conceptions of warfare. Prayer is central to a redemptive spiritual life based on a break with the past and conducted according to an ethics of submission to the Holy Spirit, but a politics of resistance to the devil and his works. Prayer is the performative mode in which both submission and resistance are enacted, and through which a political ontology of antagonistic spiritual forces takes specific historical shape and form. For Pentecostals, prayer is thus not merely a technique for communicating with God, constructing the self or the community, but a direct form of action that transforms the world. When practiced collectively in the struggle against the “demonic”, prayer so imagined can make a significant contribution to the construction and transformation of political life. 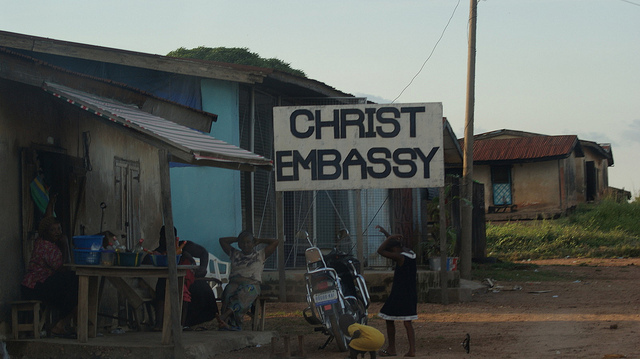 Through extensive ethnographic research and discursive analysis, I explore how prayer is construed and collectively enacted as a form of political praxis, and analyze the political consequences of the increasing influence of African prayer practices on both local and national contexts and the global Pentecostal community. Beyond its empirical findings, my research will make an original contribution to theories of political action and the relationship between religion and politics, arguing that Pentecostal practices of prayer must be understood as forms of political practice in and of themselves. The project will be based on ethnographic field work and extensive data collection, focusing on the prayer discourses and practices of four Nigerian global ministries and their leaders – Enoch Adeboye’s Redeemed Christian Church of God, Tunde Bakare’s Latter Rain Assembly, Tony Rapu’s This Present House, Matthew Ashimolowo’s Kingsway International Christian Centre—as well as the impact of Nigerian voices in global evangelical organizations like the Lausanne Movement and the US-based World Prayer Centre and their associated prayer networks. Building on my extensive past and current research and considerable expertise on Nigerian Pentecostalism in Nigeria and North America, I will study practices and discourses of what Pentecostals call “warfare prayer,” particularly in its public, collective forms. These practices range from general forms of intercessory prayer seeking the wellbeing of a given collectivity (congregation, city, nation, global community) and its protection against spiritual, economic, political, and social ills, to much more specific techniques of individual and collective intercessory and imprecatory prayer, targeting specific forms of evil and their spatial, cultural or territorial manifestations or implantations, such as the technique of “spiritual mapping” or “territorial warfare” prayers. Empirical methods will include participant observation, interviews, surveys; recordings of services and revival meetings; collection of both print and electronic media products; surveys of mainstream and Christian news media. The originality of my work lies in its marriage of extensive empirical research and original inter-disciplinary theorizing. This new empirical research will contribute to my ongoing critical theoretical project which attempts to take religious faith seriously, clearing a new analytical and theoretical space in which to address in a non-reductive fashion a phenomenon which directly and explicitly challenges the “secular” forms of thought and knowledge underwriting social scientific understandings of politics and democratic life. My project thus undertakes not only a necessary political critique of religion, but explores the ways in which religious practices of faith may provide a critique of politics. In the aftermath of 9/11, the assumption that adherents of evangelical Christianity and reformist Islam inhabit discrepant, permanently warring publics, has solidified. The dominant narrative is one of mutual antagonism, which positions these religions as foundational in major global conflicts. In Western Nigeria however, scholars have noted new forms of Islamic prayer whose modalities such as all-night prayer sessions, Sunday Services, personal testimonies, and a new emphasis on good and evil bear a striking resemblance to those of Pentecostal Christians, Similarly, evangelicals are engaging in new approaches to prayer and uses of religious space that reveal the influence of Islamic practices. The convergence between the religious practices of these two groups reveals the direct sharing and transfer of experiences in religious practices and evangelizing stratagems. The new forms of Islamic prayer suggest an emergence of “Charismatic Islam” as can be seen in the intensification in (Yourba) Islam of the kind of “all-embracing enthusiasm” (Ojo 2006) normally associated with Pentecostalism. 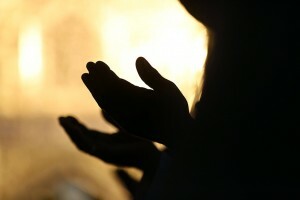 In this study, I use the case of these new dramatizations of Muslim prayer in order to understand broader questions such as: how does the transformation of Islam, betoken by these new expressions of prayer, help us to understand the shifting boundaries between Islam and Christianity, particularly in ecologies where both remain socially, economically, politically, and ideologically competitive? Further, to the extent that the nascent modalities of worship symbolize or anticipate doctrinal transformation within faiths, how does a study of prayer provide an analytic platform for understanding of critical shifts and tension within and between Christianity and Islam primarily within the cultural contest of Western Nigeria? In a national context in which the state is disconnected from ordinary people’s lives, prayer has become a central element in the rearrangement of personal and inter-personal regimes, and in the composition of ordinary people’s selfhood. Using prayer transfer and imitation, important components of how the two faiths relate in Western Nigeria, I interrogate the role of these emergent forms of Islamic prayer in the deeper transformation of the totality of the religious culture in the area. To address questions, I will conduct ethnographic research that focuses on close observation of devotional programs and social events among Islamic groups in two Western Nigerian cities: Lagos and Ibadan. My goal is to closely monitor these events to capture the expressions and nuances of the new protocols of Islamic prayer. My work in the field will be supplemented by interviews with participants. The primary data I plan to collect will be supplemented with an analysis of audiovisual material used by Islamic groups for proselytization. Secondary data will come from published books, journal articles, newspaper reports, and religious pamphlets and tracts. The intellectual payoff of this research will be to challenge the ideas of an “economy of political panic” (Last 2007) or “cosmologies in collision” (Kileyesus 2006) that have appeared in mainstream literature. Instead, I will shift the emphasis to a “spiritual economy” (Rudnychyj 2010) in which, even as theological differences remain salient, competing faiths, in their attempts to expand and preserve themselves, frequently cross boundaries to appropriate the other’s devotional and conversionary strategies. In addition, by emphasizing the strategies of mutual influence and appropriation between Islam and Christianity, the research demonstrates the fundamental “instability of the borders” (Larkin 2008, 103; cf. Soares 2006) between these seemingly antagonistic groups, providing deep insight into their modes of adaptation and accommodation.